At the same time that cities everywhere are seeking funds for Smarter City initiatives, and often relying on central government or research grants to do so, I know of literally billions of Pounds, Euros, and Dollars that are being spent on relatively conventional development and infrastructure projects that aren’t particularly “smart”. One reason is that we have yet to turn our experience to date into prescriptive, re-usable guidance. Many examples of “Smarter City” projects have demonstrated that in principle technologies such as social media, information marketplaces and the “internet of things” can support city-level objectives such as wellbeing, social mobility, economic growth and infrastructure resilience. But these individual results do not yet constitute a normalised evidence base to indicate which approaches apply in which situations, and to predict in quantitative terms what the outcomes will be. And whilst a handful of cities such as Portland and Dublin have implemented information platforms on which sophisticated research can be carried out to predict the effect that technology and other interventions will have on a specific city, elsewhere we are in the early stages of considering the strategic role that technology should play in the overall design, planning and governance of cities. 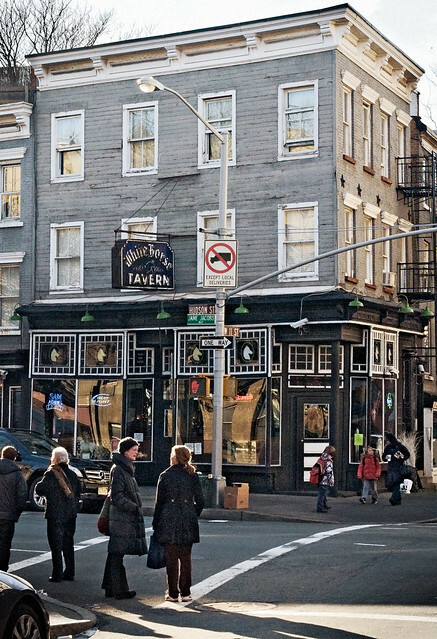 (The White Horse Tavern in Greenwich Village, New York. The rich urban life of the area was described by one of the Taverns’ many famous patrons, the urbanist Jane Jacobs. Photo by Steve Minor). Similarly, today’s planning and procurement practises do not explicitly recognise the value of the Smart City vision, and therefore are not shaping the financial instruments to deliver it. This is not because those practises are at fault; it is because technologists, urbanists, architects, procurement officers, policy-makers and planners need to work together to evolve those practises to take account of the new possibilities available to cities through technology. I was recently asked by a city that I work closely with to contribute suggestions for how their next planning strategy could reflect the impact of the technology agenda. Drawing on experiences and conversations with cities, Universities, government bodies and professional organisations over the last year, including the “Digital Urbanism” workshop help at the Academy of Urbanism Congress 2013 in Bradford, UK on 16th May, I put together a set of intentionally provocative candidate “design principles” for them to consider. I’ve reproduced those principles in this article. They will not be universally accepted, and it is not possible yet to provide a mature body of evidence to support them. Whilst some will seem obvious, some may be controversial – or simply naive. Many will change or be discarded in time; some will be found to be misguided or unworkable. Because the outcomes we are seeking are often qualitative – “vibrant communities”, for example – and because research into city systems and the work of standards bodies is still ongoing, many of them are aspirational and subjective. But by presenting active principles rather than passive observations, my hope is to stimulate a useful debate. A final caveat: my profession is technology, not the architecture of buildings and structures, urban design or town-planning. I therefore lack the depth of background in urban thinking that will be shared by many of those who I hope to engage in this debate; and as a consequence, some of this material may duplicate well-established thinking; be unsophisticated in content or expression; or just plain wrong. I hope that you will forgive and accept the attempts of a passionate newcomer to contribute thinking from a new domain into one that is well established; and help me to improve on this first attempt. The importance of “place” in town planning and urban design has come to encapsulate experience from a variety of domains about what makes urban environments successful from the perspective of the people, businesses and communities who use them. 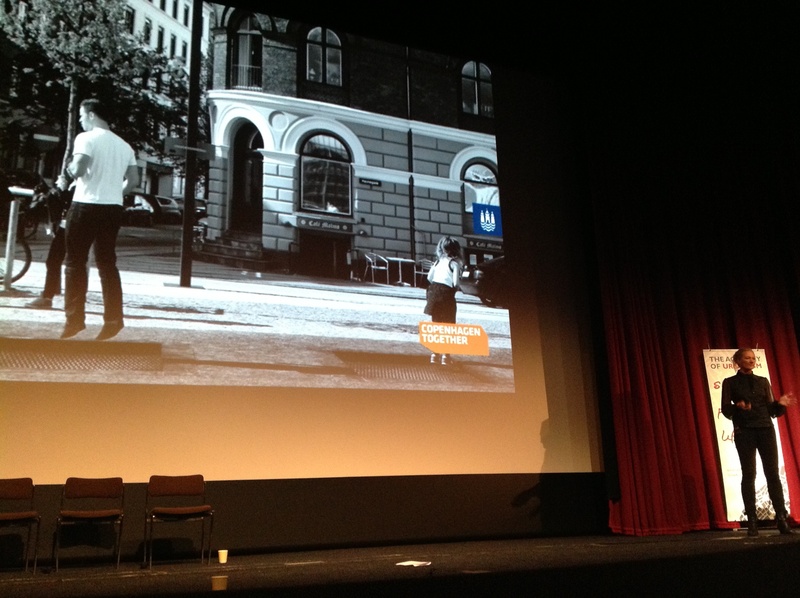 It was summarised by Copenhagen’s City Architect, Tina Saaby, in her address to the Academy of Urbanism Congress 2013 as “Consider urban life before urban space; consider urban space before buildings”. In identifying “urban life” as the starting point, I think Tina was reminding us to begin always by considering the needs and behaviour of individual people, and then their interactions with each other. This was the basis of Jane Jacobs’ understanding of cities and systems such as their economies and governments; and more recently it has been used by Professor Geoffrey West of the Sante Fe Institute to perform detailed, quantitative analyses of the performance of city systems. Principle 1: Consider urban life before urban place; consider urban place before technology. Recent scientific work has shown that the rate of change is increasing in modern society – and specifically in cities as they grow. For example, Geoffrey West’s work shows that larger cities create more wealth, more efficiently, than smaller cities. In doing so, they attract residents, grow bigger still, and accelerate wealth creation further. This self-reinforcing process results in an ever-increasing demand for resources. It powered the growth of cities in the developed world through the Industrial Revolution; it is powering the growth of cities in emerging markets today; and it is driving the overall growth in global population. Professor Ian Robertson of Trinity College Dublin has even shown that as cities get bigger, people in them walk faster. Principle 2: Demonstrate sustainability, scalability and resilience over an extended timeframe. Principle 3: Demonstrate flexibility over an extended timeframe. Principle 4: New or renovated buildings should be built to contain sufficient space for current and anticipated future needs for technology infrastructure such as broadband cables; and of materials and structures that do not impede wireless networks. Spaces for the support of fixed cabling and other infrastructures should be easily accessible in order to facilitate future changes in use. Principle 5: New or renovated buildings should be constructed so as to be as functionally flexible as possible, especially in respect to their access, infrastructure and the configuration of interior space; in order to facilitate future changes in use. Sources as respected as McKinsey and Imperial College have asserted that we are entering an age in which economic value will be created through the use of the digital information that is increasingly ubiquitous not just in our online activities but in the systems that operate physical services such as transport, utilities and buildings. Principle 6: Any development should ensure wired and wireless connectivity is available throughout it, to the highest standards of current bandwidth, and with the capacity to expand to any foreseeable growth in that standard. Organisations of all types and sizes are competing for the new markets and opportunities that digital information creates – that is simply the natural consequence of the emergence of a new resource in a competitive economy. Much of that information results from data created by the actions and activities of all of us as individuals; so we are the ultimate stakeholders in the information economy, and should seek to establish an equitable consensus for how our data is used. However, in most cases converting the data that is created by our actions into useful information with a business value requires either a computing infrastructure to process the data or human expertise to assess it. Both of those have a cost associated with them that must be borne by some individual or organisation. Principle 7: Any new development should demonstrate that all reasonable steps have been taken to ensure that information from its technology systems can be made openly available without additional expenditure. Whether or not information is actually available will be dependent on commercial and legal agreement, but it should not be additionally subject to unreasonable expenditure. And where there is no compelling commercial or legal reason to keep data closed, it should actually be made open. Principle 8: The information systems of any new development should conform to the best available current standards for interoperability between IT systems in general; and for interoperability in the built environment, physical infrastructures and Smarter Cities specifically. There is much debate as to whether, beyond basic network connectivity, higher-level digital services should form part of a national or civic infrastructure to support businesses and communities in creating growth through digital technologies. The EU “Future Internet” project FI-WARE and Imperial College’s “Digital Cities Exchange” research programme are both investigating the specific digital services that could be provided as enabling infrastructure to support this growth; and the British Standards Institute is exploring related standards to encourage growth amongst SMEs. Principle 9: New developments should demonstrate that they have considered the commercial viability of providing the digital civic infrastructure services recommended by credible research sources. The price of energy is expected to rise in the long term until new energy sources are scalably commercialised; and the UK specifically is expected to experience power shortfalls by 2015. Many urban areas are already short of power, limited simply by the capacity of existing delivery subsystems. Overall it is clear that it is economically and environmentally sensible to reduce our use of energy. One way to do so is to make better use of the information from city systems and buildings that describe energy usage. Property developers in Amsterdam used such information to lower the cost of energy infrastructure for new developments by collaborating to create an investment case for smart grid infrastructure. Principle 10: Any data concerning a new development that could be used to reduce energy consumption within that development, or in related areas of a city, should be made open. Principle 11: Property development proposals should indicate how they will attract business and residential tenants through providing up-to-date sustainable infrastructures for heat and power such as CHP, smart metering, local energy grids and solar energy. Principle 12: Consultations on plans for new developments should fully exploit the capabilities of social media, virtual worlds and other technologies to ensure that communities affected by them are given the widest, most immersive opportunity possible to contribute to their design. Principle 13: Management companies, local authorities and developers should have a genuinely engaging presence in social media so that they are approachable informally. City communities are not passive observers to the Smarter City phenomenon. They may be crowd-sourcing mapping information for OpenStreetMap; running or participating in hacking events such as the Government Open Hackday in Birmingham last year; or they may be creating new social enterprises or regional technology startups, such as the many city currencies and trading schemes that are appearing. But access to and familiarity with social media is far from ubiquitous; the potential for new communities to adopt and benefit from such technology is enormous, and need not be expensive. Informal programmes to spread awareness and provide education, such as the social media surgeries started by Podnosh in Birmingham, can have a powerful effect helping communities to exploit social technology to uncover hidden synergies and connections. Principle 14: Local authorities should support awareness and enablement programmes for social media and related technologies, particularly “grass roots” initiatives within local communities. Local food initiatives – in which local food processing is more important than local food growing in cities with limited open space but plentiful manufacturing space – have the potential to strengthen community ties; provide employment opportunities; promote healthier diets; and reduce the carbon impact of food supply systems. They can be supported by measures such as the provision of generous gardens, allotments or public space in the physical environment; and by the use of technology to enable online food markets or related distribution systems. Principle 15: Urban development and regeneration programmes should support the formation, activity and success of local food initiatives by cooperating with local community and business support programmes to support the infrastructures they need to succeed and grow. Principle 16: Residential accommodation should incorporate space for environmental monitoring, interactive portals, and connectivity to enable remote support, telehealth systems and homeworking. For cities to provide jobs, they need successful businesses; and technology will have a dramatic effect on what it means to be a successful business in the 21st Century. Over the last two decades, the internet, mobile phone and social media have redefined the boundaries of the communications, technology, media, publishing and technology industries. The companies that thrived through those changes were those who best understood how to use technology to merge capabilities from across those industries into new business models. In the coming decade as digitisation extends to industries such as manufacturing through technologies such as 3D printing and smart materials, more and more industry sectors will be redefined by similar levels of disruption and convergence. So how are the economies of our cities placed to be successful in that world of change? 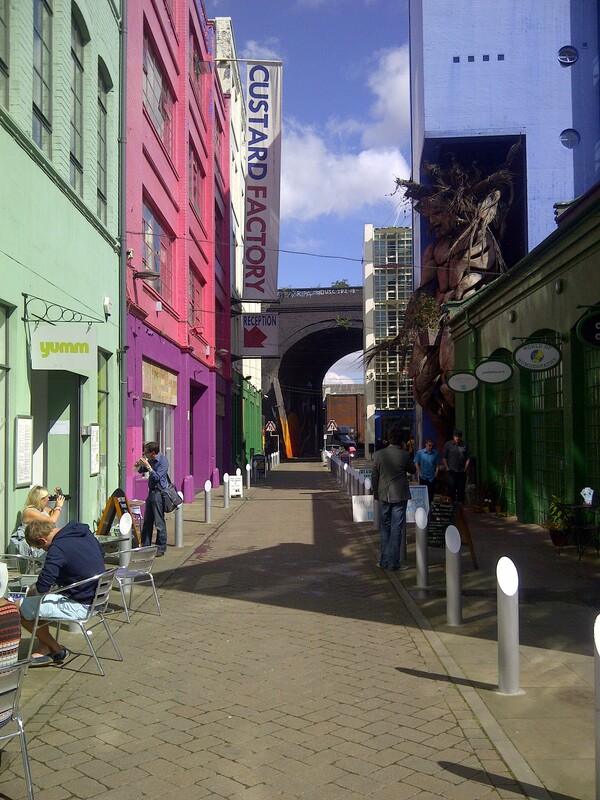 Many have the mix of technology, creative and industrial capabilities to be successful in future economies in principle; but in practise those capabilities are in separate geographical locations, between which it is difficult for serendipitous interactions to create new innovations – I discussed these issues in the context of Birmingham, my home city, in an article a few weeks ago. 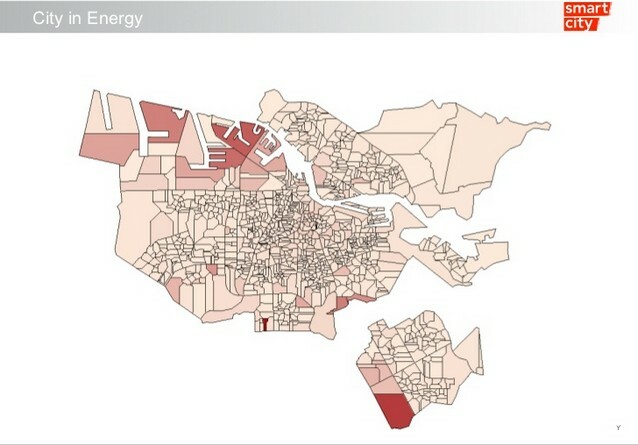 Principle 17: New developments should demonstrate through the use of the latest urban modelling techniques that they will increase connectivity – particularly by walking and cycling – between important value-creating districts and economic priority zones that are adjacent or near to them. Principle 18: Developments should offer the opportunity of serendipitous interaction and innovation between stakeholders from different occupations. Principle 19: Developments should provide, or should be adaptable to provide, facilities to enable the location and success of future ways of working including remote and mobile working, “fab labs” (3d printing facilities), “pop-up” establishments and collaborative working spaces. Principle 20: Planning, usage and other policies governing the use of urban space and structures should facilitate innovation and changes of use, including temporary changes of use. Privacy and security are perhaps the greatest current challenges of the digital age; but that is simply a reflection of their importance in all aspects of our lives. Jane Jacobs’ description of urban systems in terms of human and community behaviour was based on those concepts, and is still regarded as the basis of our understanding of cities. Principle 21: Any information system in a city development should provide a clear policy for the use of personal information. Any use of that information should be with the consent of the individual. Principle 22: Transport plans supporting new developments should demonstrate that they have not only provided for traditional transport demand, but also that which might be created by online business models and other social technologies. Principle 23: New developments should demonstrate that their design takes account of the latest best and emerging practises and patterns from Smarter Cities, smart urbanism, digital urbanism and placemaking. When I first began to extract candidate design principles from my workshop and meeting notes, I doubted whether I would identify more than a handful; I was certainly not expecting to identify more than twenty. I think that it is encouraging to observe that there is so much that can be stated positively about the potential of technology to create value in cities. My sense, though, is that an overarching set of five to ten principles would be much more useful in defining an approach to Smarter Cities that could be broadly adopted. In order to identify what those principles should be, I will need to more clearly define their audience and purpose. Such an exercise will probably form the basis of a subsequent article for this blog. But in the meantime, I hope that I have offered food for thought; and I look forward to hearing your views. My thanks to those who have commented on the principles I shared on twitter ahead of posting this: Leo Hollis, Tony Smith, We Make Good, Ian Owen, Osvaldo, Fred Bartels and Frederico Muñoz. Rick, Once again a wonderful and thoughtful post where your experience of working with different cities, and drawing out insightful principles such as these, is really beginning to pay dividends. You should think about producing a book! One area that would be interesting to explore, maybe an additional domain, is the way culture, in particular institutions such as museums, theaters and so on, plays a part in making cities smarter and how ‘digitisatiion’ could deployed here. How could a digital infrastructure be extended into such institutions to make the individual, as well as the shared, experiences of the arts be more available and hopefully improve the overall experience of living in smarter cities – ‘smarter culture’ if you like? If this is of interest I am developing some use cases, with a colleague, around this idea and I think some of your principles could be extended into this area (as well as their being new principles). Thankyou for your kind comment 🙂 … I’m delighted you found the article interesting. I think you’ve made a great point. I remember Rashik Parmar a couple of years ago emphasising the importance of culture to the Smarter City agenda, but while it’s a point I completely agree with, it’s just not something I’ve really managed to spend much time considering. If you have some use cases in the area, I would love to hear your thoughts; and I’d be particularly grateful if you felt like contributing a few principles to this debate based on them – if I can get enough feedback of that sort, my plan is to publish a re-draft, with full attribution of any contributions I’ve received. Whilst I’m on the topic, I do think there’s a real opportunity to explore how technology will affect cultural / leisure / sporting / conference events; even before we had social media, the value of most of the conferences I’ve ever attended wasn’t in the spoken sessions, it was in the networking and side discussions. A decade ago, those side discussions were often arranged in advance with people I already knew but didn’t see very often outside the conference context. Twitter now means those side discussions are arranged on the fly with people I’ve never met before. The potential to create exceptionally creative, fluid, dynamic experiences across all areas of culture is something we’ve certainly begun to explore, but I suspect we’ve barely scratched the surface of what’s possible. Your principles make a lot of sense and resonate cooments made by Jan Gehl years back when I was fortunate enough to met him personally. On a slghter different angle, I will be soon tackling an yet unfunded self-initiated project which involves food waste ( the vast amounts of perfectly edible food that are wasted every single day in all major cities). It is estimated that in the US more than 40% of their food is wasted. The UK website Next Generation Food estimates that each ton of food waste is equivalent to 4.2 tons of CO2. By simply stopping shuch vast amounts of food its emissions would be the equivalent of taking a quarter of the cars in America off the road. Another “cousin” project relates to better understanding the recycling (or not) of “recyclable” materials in the food packaging industry such as PET, aluminum, and TetraPack. 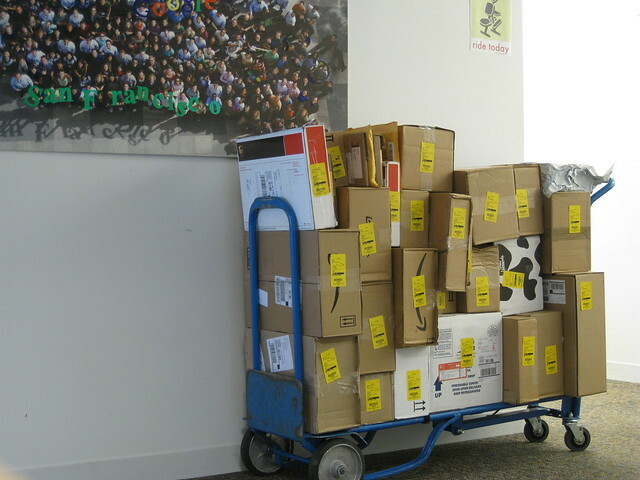 It is ironically a very serious problem since, in principle, these packaging materials could have their life-cycle extended but they end-up in landfills in astonishing numbers. Hong Kong for instace is only capable of recycling 48% of its refuse and the rest ends up in landfills which are dangerously reaching full capacity. Hong Kong iis just one critical case as there are numerous other cities facinog similar challenges. This is also self- initiated research with the hope of future funding to move on. 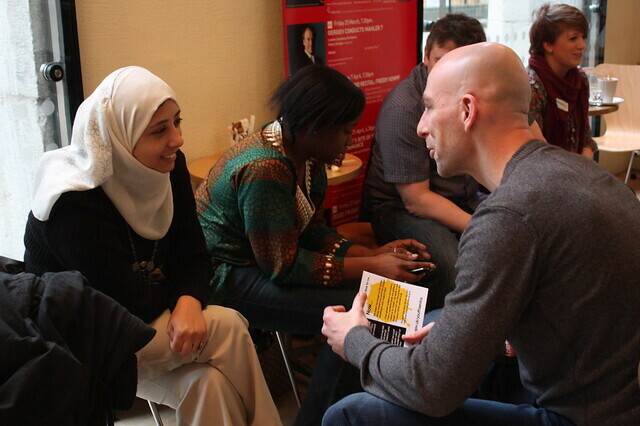 We believe there is a social component to any situation that always needs to be further explored and well understood. Why is this happening in one of Asia’s most advanced cities? Why can’t people in Hong Kong reduce their “glutony” for packaged food? Small flats, long working hours, the need to socialize, better environmental consciousness, may all form part of this complex situation. So the “smart part” has to be preceeded by a deep ethnographic study to go to the roots of the problem. Would very much enjoy keeping in touch. I’m enormously glad to hear that you think there is a similarity between some of the article and your experience of meeting Jan Gehl – he is certainly one of my inspirations. I share your interest in addressing the topics of food production, food waste and recycling, too; and I think it’s important to understand personal motivations in addressing them. For instance, the vast majority of my travelling is undertaken by public transport rather than driving. However, whilst I’m glad that has a beneficial effect on the carbon footprint of my lifestyle, that’s not the reason I switched away from driving about 5 years ago now. I made the change because catching trains allows me to work whilst travelling, while driving cars does not. As a consequence if I travel by train I get more time to spend with my family whilst still getting my job done. I’m sure similar factors will affect food, too – I wrote an article last year that touched briefly on some similar points to those that you raised – https://theurbantechnologist.com/2012/06/13/will-we-reach-our-food-future-through-evolution-or-catastrophe/. The “Casserole Club” in London (http://www.casseroleclub.com/) was started to address a similar (though not identical) challenge to the one that you describe in Hong Kong – i.e. using technology to connect people willing to prepare food with those who don’t have the time or ability to do so themselves. But whilst I’m sure that a scheme modelled on it could in principle address the issues you described, whether or not people would chose to engage in it so that it could succeed is a question that’s all to do with personal preference and attitudes to community. I wonder if Jaime Lerner’s example of engaging first with children is the way to get started? I am agreed with you. 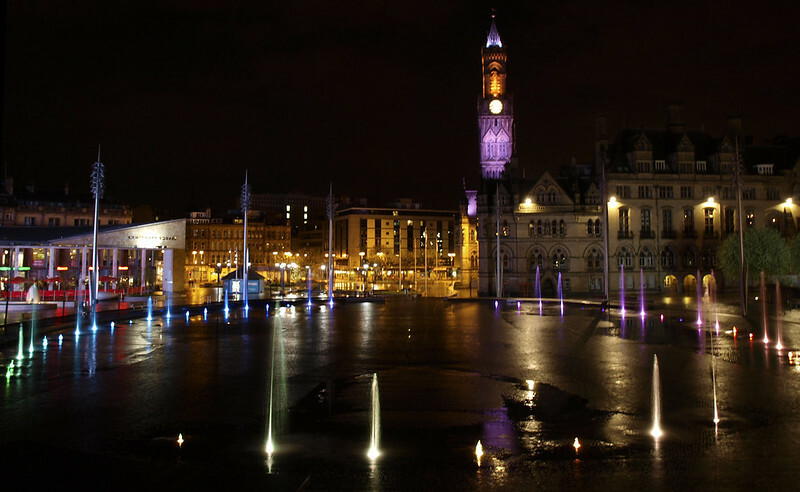 Bradford’s City Park is designed according to urban architect and it is looking very beautiful. Why Smart Cities still aren't working for us after 20 years. And how we can fix them.